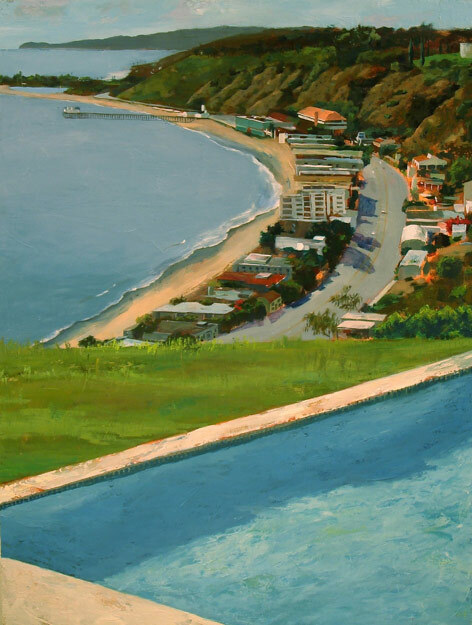 Kudos from Scott Canty: "Sun soaked hillside and a cool poolside make this painting a delightful image of typical Southern California views. I enjoy the artist's color choices. The strong composition with a glaring diagonal of the pool, the curved hill side street, and the ocean's shore bring the viewer full circle into this painting."